Mount Takao, located at West of Tokyo, in Hachioji, is quite a popular destination for light mountain hikes and enjoy nature, specially during the Momiji in Autumn. As it is nearby Tokyo, expect crowds on weekends. 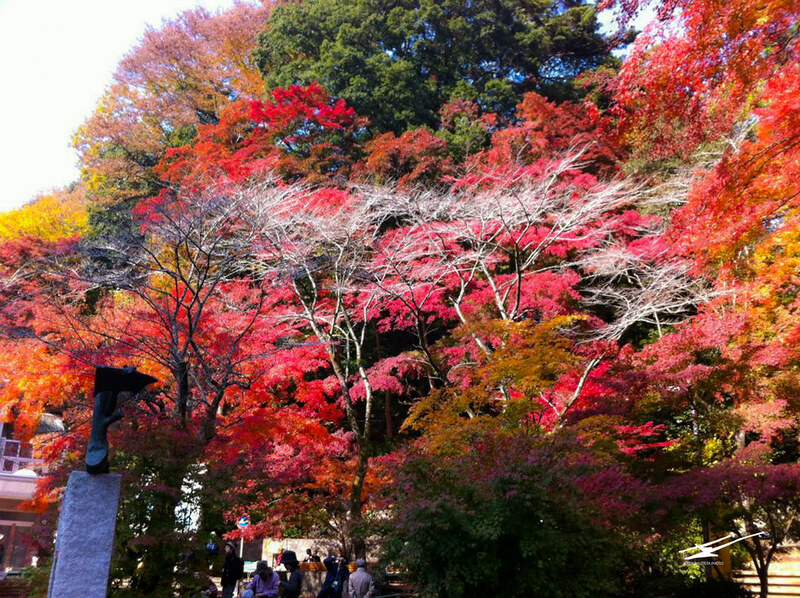 Momiji, the change of leaf color in Autumn in Japan. 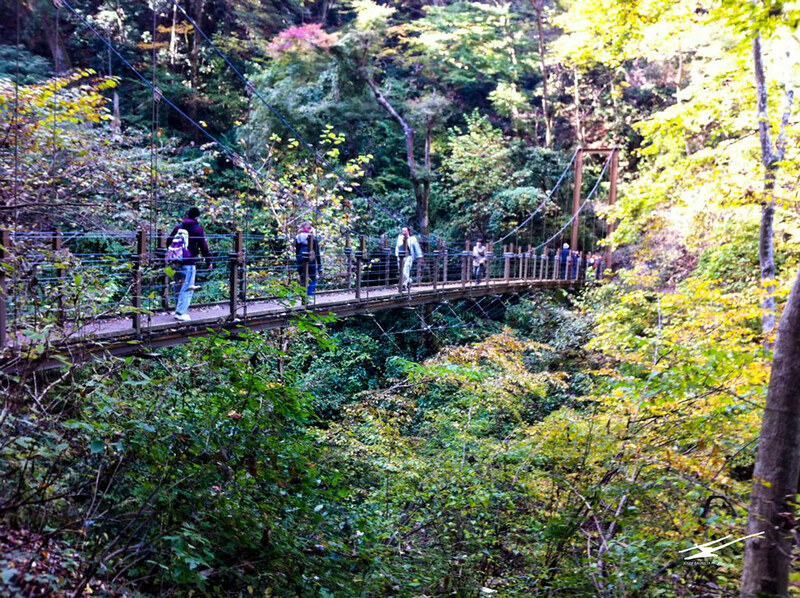 Mount Takao has an extense network of hiking trails, for all levels of endurance. 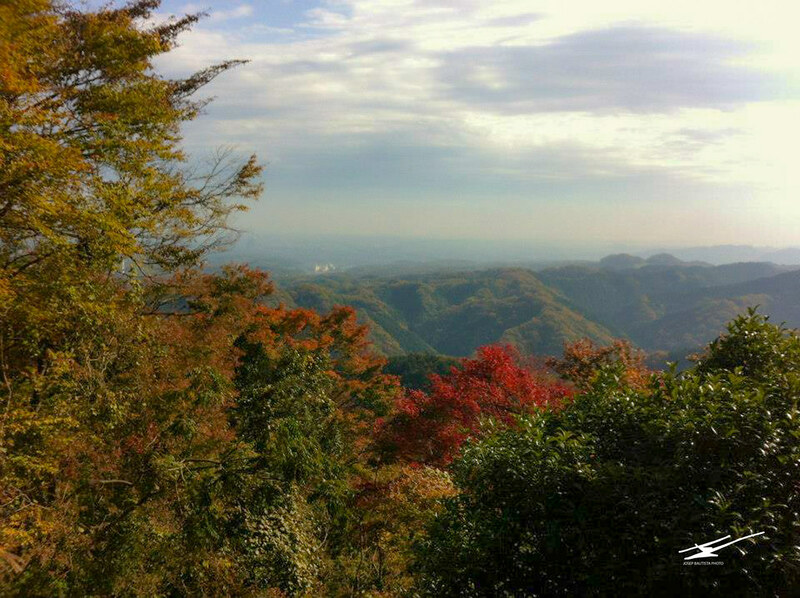 The best to enjoy the mountain scenery and take a deep breath of fresh air out of Tokyo. On weekends some of those paths get so crowded that the experience of nature hiking gets a bit turned down. All the trails are connected, being the most popular the number 1, also the easiest path to the summit at 599 meters high. The cablecar is another option to cut in half the hiking time. 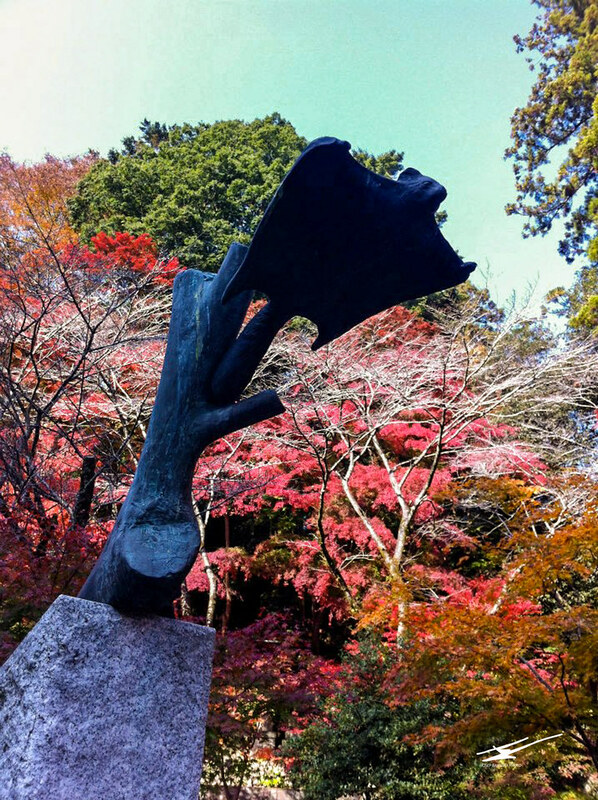 Flying squirrels statue in Mount Takao. Never seen one though, too shy. Hiking trails at Mount Takao. Mount Takao, worshiped as sacred mountain for over a thousand years, has a temple along the trails, near the summit. 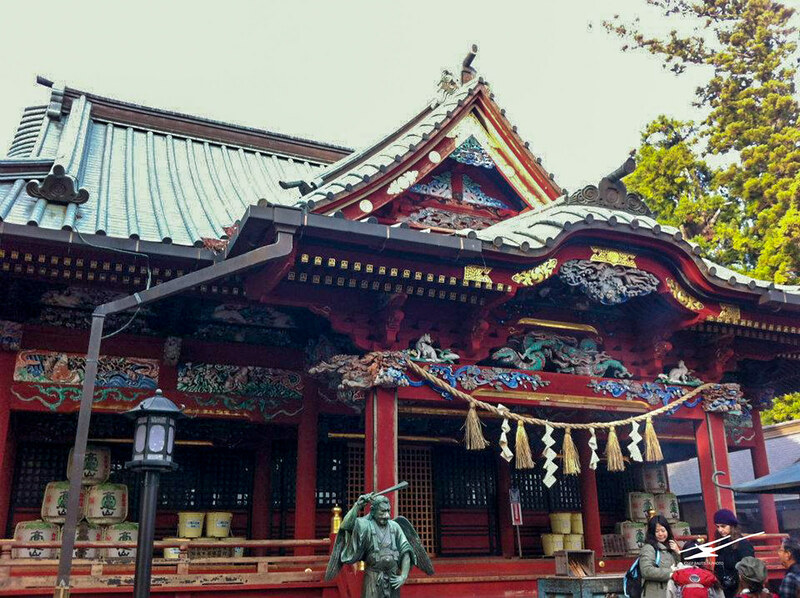 The Yakuoin temple worships the Tengu, known as mountain gods for good fortune. Yakuoin shrine, Mount Takao, Japan. 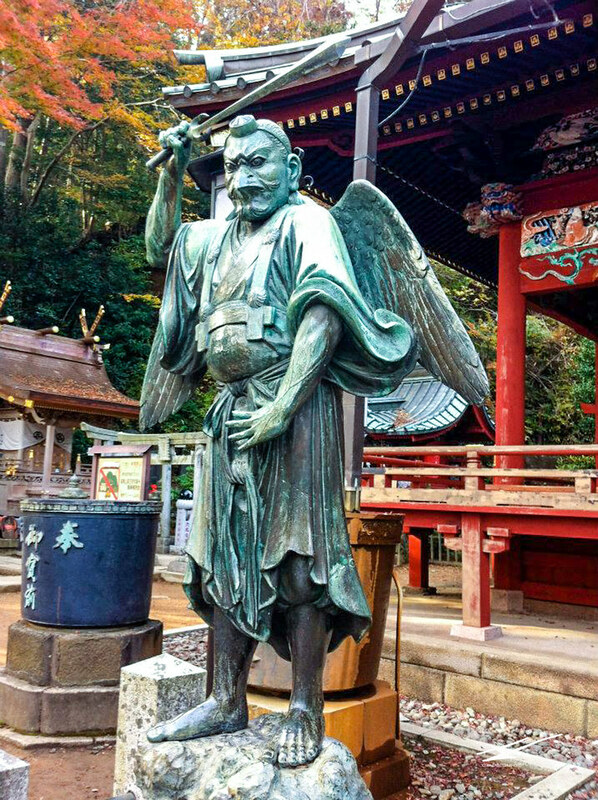 Tengu, mountain gods of fortune. Still in Tokyo area, Mount Takao is the closest escape to nature. If you hold the JR pass, from Shinjuku station, the JR Chuo Line has direct access to Takao Station. The closest station is the Takaosanguchi Station on the Keio railways. Transfer from Takao station to Takao Sanguchi Station is only one stop, and costs ¥130. 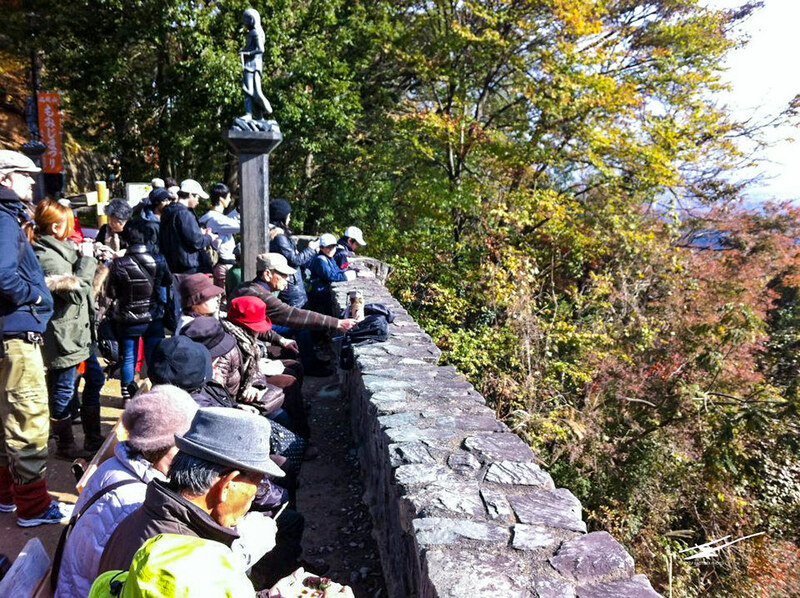 Avoid the weekend crowds at Mount Takao.